Great! 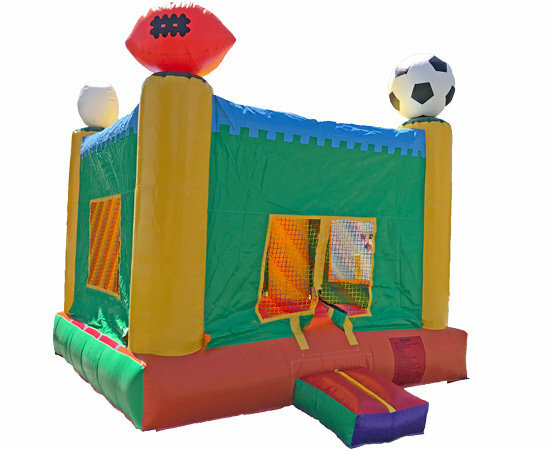 Inflatable, with a large jumping area that can accomodate 12 to 15 kids, our jumper also has lots of safety features like, netting windows all around which makes easy to keep an eye on the children and an inflatable safety ramp at the entrance. Inside of this unit we have added a basketball hoop.